Today’s Music Monday is coming to you a bit late. And it’s a bit lazy, too. Forgive me. I’ll be back next week with a post of more substance. Anyway, since the early 2000’s, I’ve had many MP3 players, starting with the Rio PMP300 [mine was actually in clear teal] and had 32mb of space. That held maybe five songs. Primitive much? Today, I have several iPods, and iPhone and an iPad. My main iPod is still my 30gb, but it’s been recently plugged into my iPod adapter and mostly stays in the car, soon to be replaced by an iPhone 4S with 32gb of space. It’s evolved into quite a collection, which get upgraded every so often [mostly to increase space or reduce size]. So with that, the question begs: How many iPods or digital MP3 players do you own? Phones that play digital audio count, too. Actually, my iPod was my first MP3 player but I’ve had several iPods over the years. Between Katie and I, we’ve had four iPods, two Shuffles, a Nano, and three iPhones. Of those, six are still alive including the original iPod we bought in 2004. Nice to hear the original iPod is still kicking around. My first iPod was the 20gb and I ended up giving it to someone after years of use. 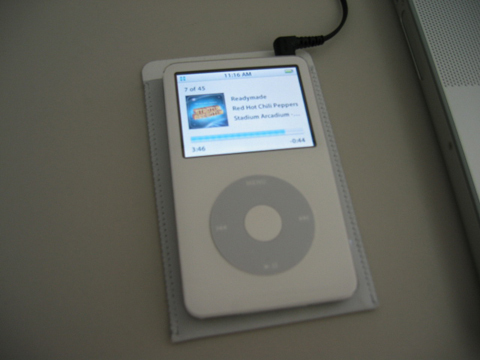 Same as @kapgar, my iPod was also my first MP3 player. I’m now on my third – the 160GB Classic. I’ve given away all my others so now I’m down to two portable MP3 players, my iPod, and my iPhone. The iPhone doesn’t have any music on it mind you. My daughter has the 160gb Classic now and loves it.